To delete multiple fixtures at once, follow the steps given below. 2. Select multiple competitions from the list. 3. Select the Delete Fixture option from the Delete drop down list. 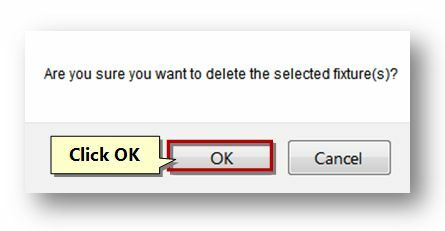 The message box asking you to confirm the deletion of the selected fixtures will be displayed. The selected fixtures will be removed.